Zero Carb Interview: Ultra-Marathoner Ana Teixeira | Eat Meat. Drink Water. A Happy Healthy Ana Teixeira! I have been eating a Zero Carb – No Plant Foods – diet for 5 years now. My motivation was for both health and endurance. I am an Ultra-marathoner, and I wanted to improve my performance, and a Zero Carb diet is the best way I have found to achieve this. I run 4 ultras a year. Two of them are 100 km and the other two are 215 km each. My personal best time for the 100 km is 9 hours and 30 minutes. I took several months for me to transition to a fully adapted state. I started eating a low carbohydrate diet 3 years earlier (which included fruits, vegetables, eggs, and dairy products), but it did not give me the results I was seeking. I wanted more independence and freedom from food. I wanted to be able to go for hours without eating. I was still hungry too often on just a Low Carb diet. It takes mental strength to make the transition to Zero Carb, but with determination and discipline everyone can do it. And the benefits are awesome. Ana Warming Up For a Long Training Run. I eat only meat. I consume mostly beef and pork, choosing the fattiest cuts, but I also like chicken wings. The meat and fat from pork head is one of my favorites, but I do not eating brain. I do not eat turkey or duck or rabbit meat because I find it to be too lean. I need lots of fat to fuel my body and provide the energy necessary for my long runs. I enjoy bacon, too, but it is difficult to find it without sugar. About 50% of my diet is fresh beef, and the others 50% is pork and chicken wings. I prefer my meat cooked medium. If I feel I need extra fat, I will add ghee (lactose-free butter) which is easy to find where I live. I do not limit the quantity of meat I eat. I eat until I feel my needs have been fulfilled. I eat two meals a day. I have my first meal about mid-day after my morning run, and my second meal in the evening. That’s enough for me. Ana During One of Her Long Runs. No, no organ meats at all. I do not drink bone broth on a daily basis, but I do use it during a competition. During the ultra-marathons, we must carry our own food, so that’s when the bone broth is good for me. Sometimes during ultras that last for several days, my support car will give it to me to drink. This is really helpful because then I don’t have to carry it, and I can continue to run while drinking it. I generally eat 2 meals per day, but I listen to my body and sometimes I don’t need that much and will only eat one. I let my hunger dictate. I live in a big city and buy most of my meat from the large supermarkets. However, I recently found a smaller shop that sells nice pieces of grass-fed beef and I will buy from them on occasion. 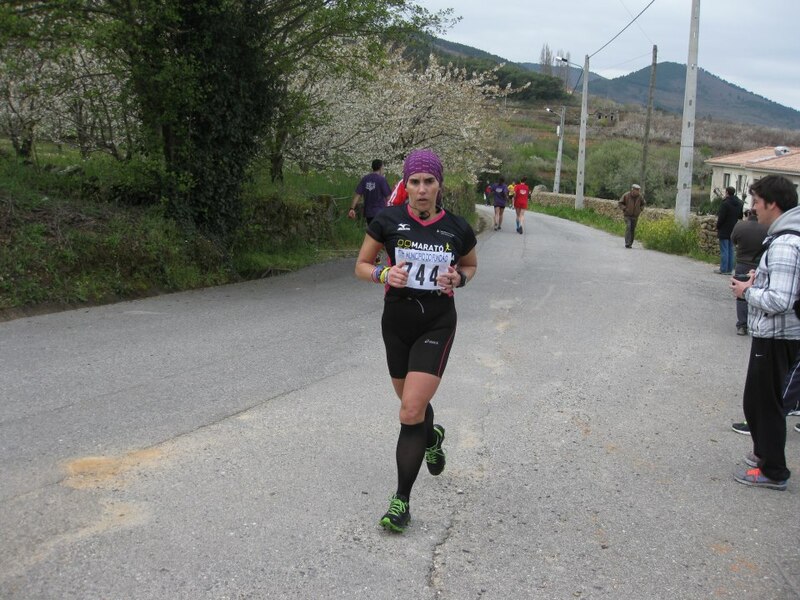 Ana Competing in an Ultra-Marathon Race. I drink mostly water, but I will sometimes have a cup of coffee with ghee (lactose-free butter) in it. Yes, because of the long distance running, I find that my body requires more sodium than the meat alone provides. If I do not use it, I will experience electrolyte imbalances. I add extra salt to both my water and my food. I have about 5 gms. (1 tsp.) on average per day. I do not use any spices. I do not take any supplements besides the salt. I spend about 250 Euros (equivalent to $275 USD). I recommend trying to find a place where you can become a regular customer. In my place, they know me and offer me special discounts for shopping there on a regular basis. I cook all of my own food and I never eat out. If I have to be away from home for a meal, I prepare it ahead of time and take it with me. Always. Ana Visiting with a Nun at the Convento do Clarissas Do Desagravo Louriçal. I am a high school biology teacher. I have loved to run since my youth, and I decided to start participating in ultra-marathons for several years ago. 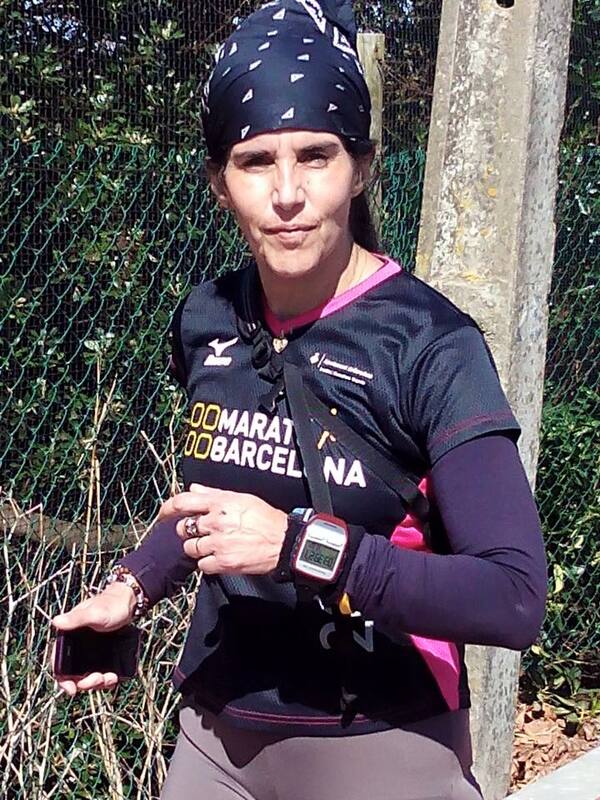 I’m 49 years old now and I have done several ultra-marathons around Europe. I began running marathons in 2009, and ultra-marathons in 2012. 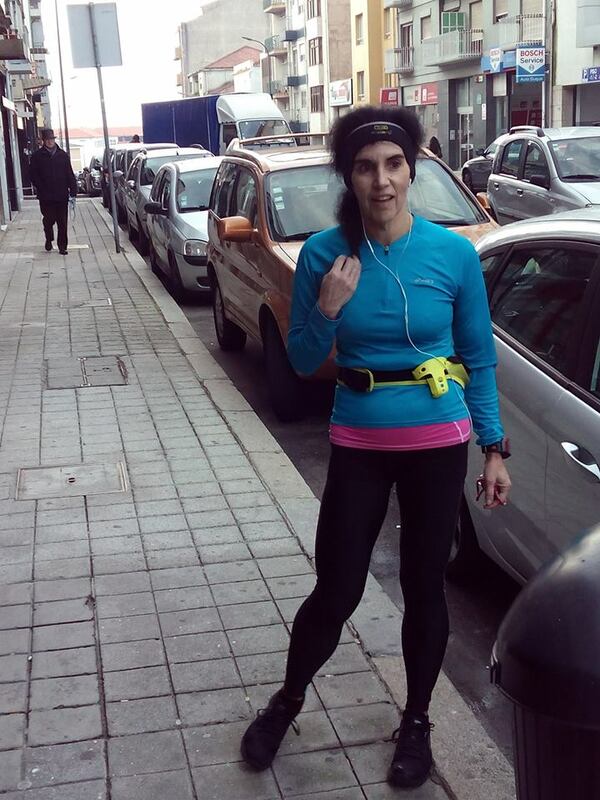 I run 150 km (93 miles) a week when I am training for a competition. Ana with Her Running Gear, Ready to Role. No, I was not aware of Zero Carb when I conceived and gave birth to my two sons. I was a carbohydrate addict back then, unfortunately. I do all of the cooking for my family daily. I have three men to feed, my husband and two sons. I also have 5 cats and a dog. I am the only one eating a Zero Carb diet, but I keep their meals fairly low in carbohydrates. I continue to encourage them to eat Zero Carb, but so far they have not joined me. I allow them to choose for themselves, it is an individual choice and one must want to do it. They observe me and can see how happy I am with this way of eating. I am hopeful that – with my own consistency – I can inspire them to choose this path. Cats and dog are already eating a Zero Carb diet like me. The taste of the food. The feeling of freedom. The calmness of my mind. The knowledge of what my body needs. The deeper understanding of who I am as a member of the Homo sapiens species. Ana After Finishing a Long Training Run. Consistency and determination are needed to succeed. It takes time for the body to adapt. Do not give up. Be patient. Once you are adapted, you will experiences lots of energy and you will feel great both physically and mentally. Your memory will improve, your skin will improve, your physique will improve. You will grow younger. I am 49, but all of my students tell me I look like I am in my mid-30s. I receive totally respect and support from my family. Not so much support from colleagues and students at the school where I work. But with my example, they are beginning to think and contemplate this way of eating more seriously. I have far too many obese students in my classes. And some of my solidarity competitions is for the purpose of raising money for poor students. That also makes them reflect more on what I am doing. To follow this path, it is important to have a knowledge and understanding of it, but it is also important to see others who are living it successfully. I try to be the best example I can be for others. It is truly an honor for me to be able to share my experience in this way with all of you. Any additional questions are most welcome. Ana Relaxed and in the Zone During a Long Run. 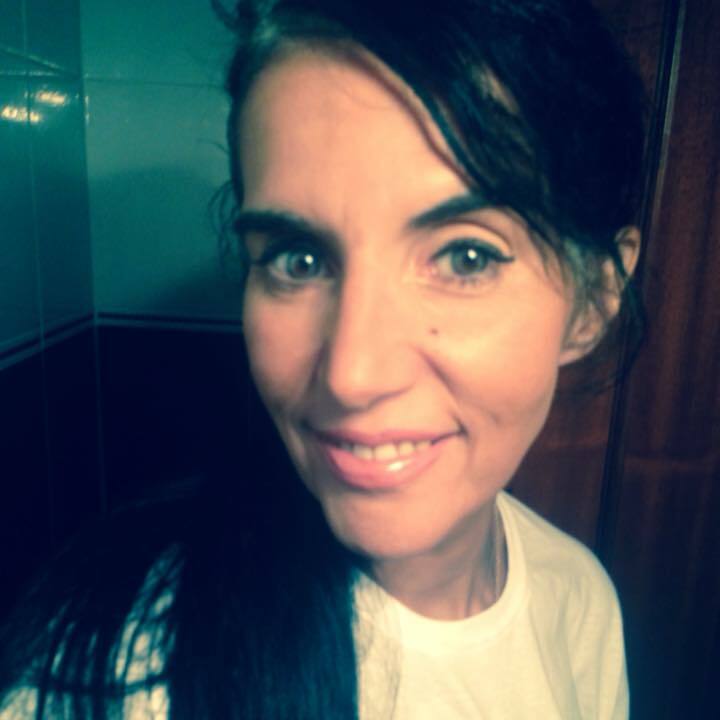 Ana Cristina Teixeira is a biology teacher in Penafiel. And a runner. And a woman of faith. She kicks off a race this Saturday morning at the port, running to get to Fatima before the Sundayfinish. But the expectation is not the performance, time, challenge, or accomplishment. The expectation of Ana – a woman of faith – is to bring awareness about the reality behind the rosy faces of students who attend the school Joaquim de Araújo. Many live in conditions of “extreme poverty,” she told us earlier. Ana wants to be able to help them with scholarships that prevent them from having to quit school and will allow them to continue with their educational studies. So, this race will run 215 km and will help to raise money for this cause through donations. It is the second time this particular race has been organized and run for this purpose. In May 2012, another race to Fatima managed to raise EUR 1700 delivered to students in need of scholarships for school, but it also provided funds to help with vision and dental care. Now, with the support of the Rotary Club of Penafiel and the city of Penafiel (in Portugal), another 1500 EUR has already been raised this year. This money will go to the students with the most need. 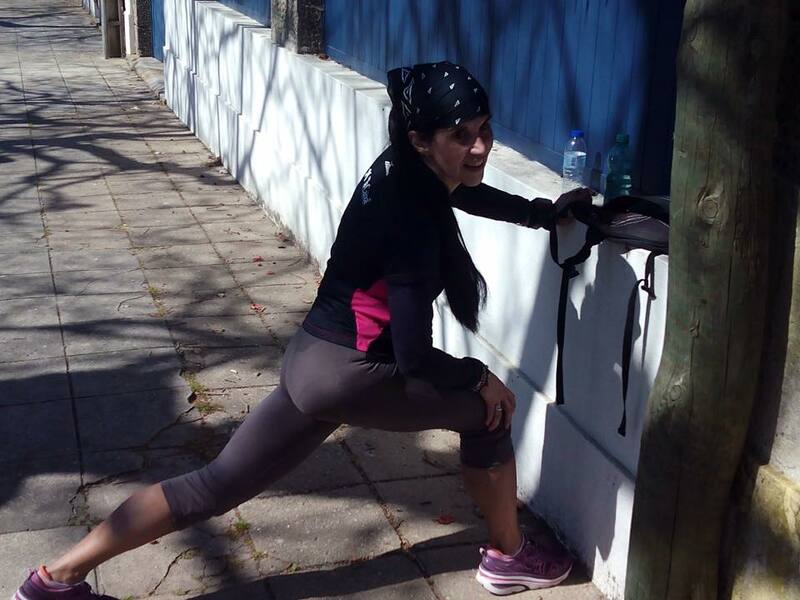 Ana Cristina Teixeira is a 48 year old life-long athlete. The race starts at 5 AM and will follow the coast. She will be accompanied by her husband Arthur who will drive near her in in a car and provide support such as hydration and changes of clothes. She will stop only 9 times throughout the entire race, and will likely eat during only 1 or two of these stops. Last year, Ana completed the race in 48 hours, with only one 3-hour stop to rest. 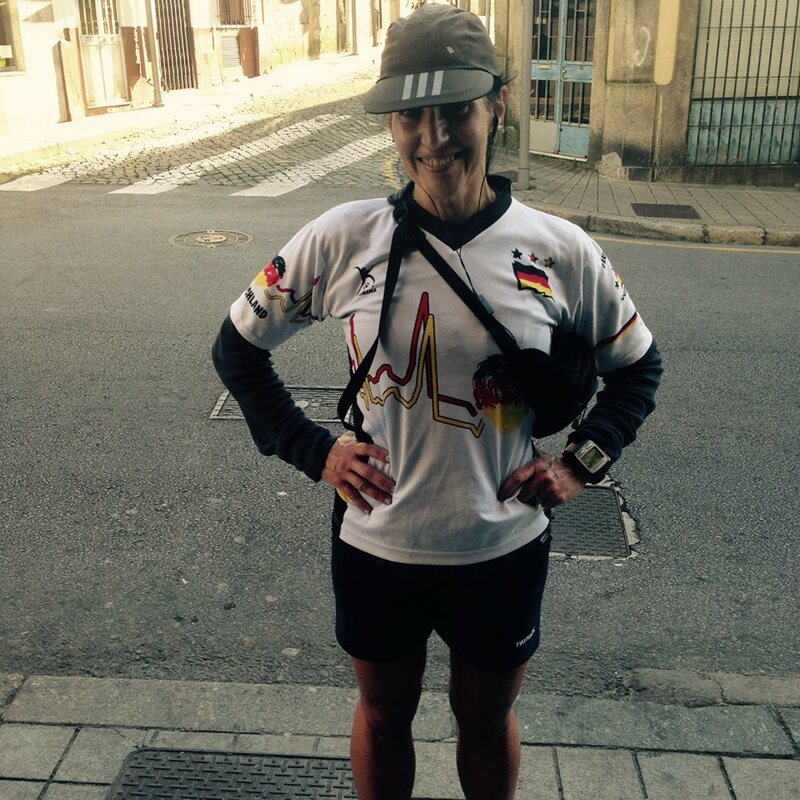 Please note: You can find Ana under the Facebook page Corrida Peregrina, the name of her Ultra Running organization dedicated to raising money for students in need. This entry was posted in Interviews and tagged Diet, Distance, Fat, Fat-Adapted, Health, High Fat, Keto, Keto-Adapted, Ketogenic Diet, Ketosis, LCHF, Long-Distance, Low Carb, Marathon, Meat, Nutritional Ketosis, Paleo, Paleolithic, Primal, Run, Runner, Running, Ultra-Marathon, Zero Carb by esmeelafleur. Bookmark the permalink. I would love to know what Ana uses for fuel during an ultra other than bone broth. Since gels are the norm in the races I do, I can only think of fat as that perfect consistency. How often during a race does she need to refuel?